I love prawns. Ella loves prawns. 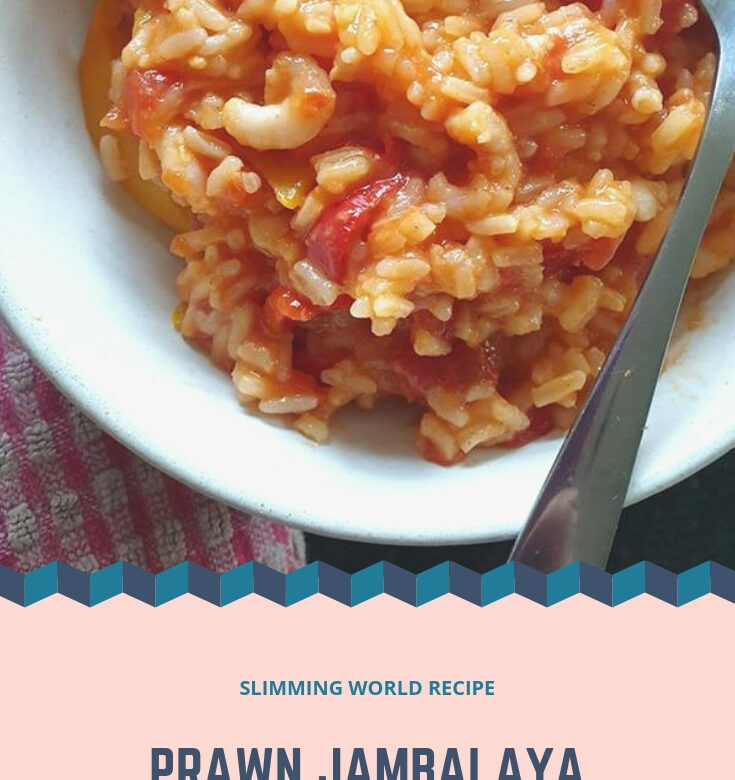 I don’t think anyone else in the house likes prawns and this is a spicy prawn recipe so I don’t think even Ella will like this one. Which can only mean 1 thing – more prawn jambalaya for me!! Spray a large heavy-based pan, non-stick pan with Frylight and place over a medium heat. Add the peppers and cook until they’re just beginning to soften. Sprinkle over the cajun seasoning and cook for 1 minute, stirring. Stir in the rice, chopped tomatoes and 700ml boiling water and bring to the boil over a high heat. Cover and reduce the heat to very low. Cook for 20 minutes. Remove the lid, add the prawns and cook for 2-3 minutes, stirring occasionally.